Anyone who has struggled on a project would tell you a little extra boost to the brain now and again might not be a bad thing. In Limitless, Eddie (Bradley Cooper) is a writer with a book contract and writer’s block. To make matters worse, his girlfriend Lindy (Abbie Cornish) has had enough of paying his way. A chance encounter allows him to try a new, “legal” drug which unlocks the full potential of Eddie’s brain. He wastes little time using his new found power to make progress on his book, get women and get ahead in business. The purported advantages of the drug are clear, to the point where one character compares him to God. Matthew 10:30 …But even the hairs of your head are all numbered. the drug has some negative withdrawal consequences including sickness and death. Of course, some other shady characters also want to get their hands on the drug. Eddie must shake off these side effects while trying to leverage the advantages. In this way, Limitless seems to argue that there isn’t anything really wrong with taking the drug as long as one can manage the effects. This consequentialism – the belief that the moral good of an action is determined by the outcome for the individual – typifies Eddy’s interaction with the drug, further evidenced by recommending Lindy to take the drug to save herself from a villain because it will help her to think her way out of the situation. In the end, Eddie manages to succeed without a lot of hard work. Yet, humans are so much more than advanced information processing machines and life is more than success and achievement. As someone going through the engineer’s equivalent of writer’s block, there is much character growth in the process of struggle, and frustration. And even if we may not like it at the time, this growth is good for us. As a Christian, suffering and struggle also hold a unique place in Christianity – through suffering, Christ persevered and endured the cross for the sake of others, rescuing sinners. As humans, we have an immense natural capacity for knowledge, information processing and intellect, far beyond any other creature on this planet. Efforts to increase brain capacity may not necessarily be a bad thing, but the question remains how one ought to use such improved brain capacity. 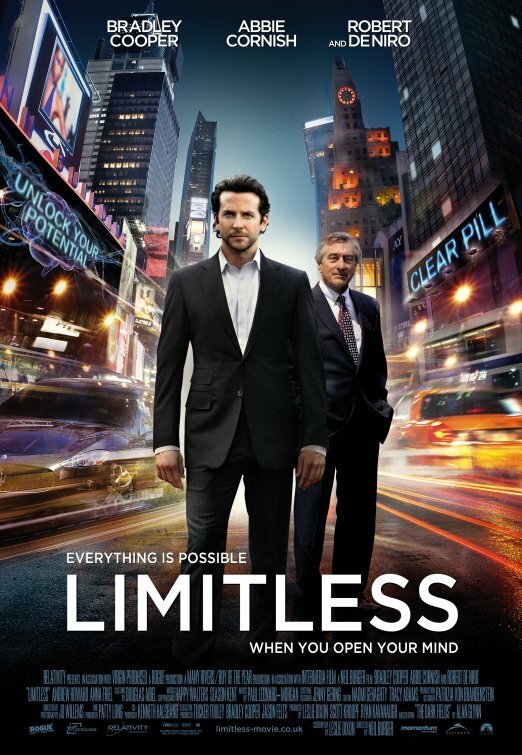 The tagline for Limitless is “Everything is possible when you open your mind.” and most of the possibilities it explores are hedonistic. Still, it wouldn’t be difficult to imagine additional brain capacity eventually being turned against humans, given the demonstrated capacity of the human mind to conceive evil when operating within its normal limits. For an excellent summary of the attributes of God, check out Tim Challies’ Visual Theology – The Attributes of God.